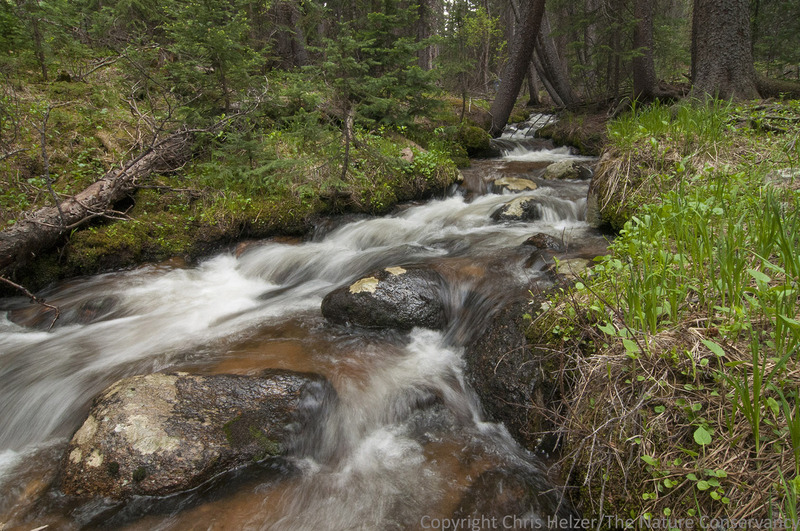 A rocky mountain stream not far from the door of the cabin we stayed in last week. 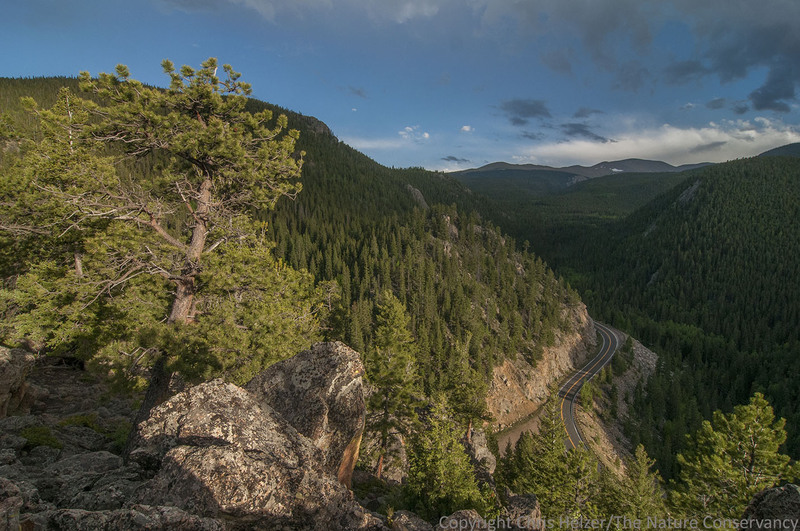 South of Idaho Springs, Colorado. 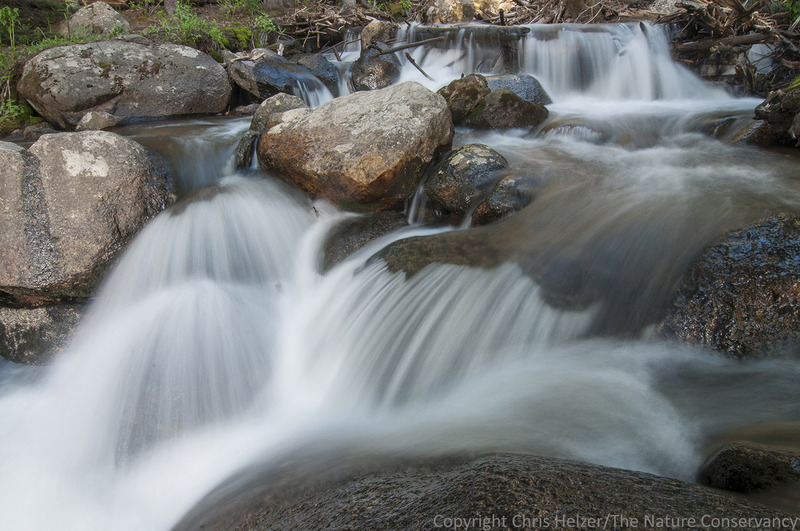 Since I don’t see fast flowing water (or rocks) very often in my part of Nebraska, I don’t often get to play with the old photography trick of using a slow shutterspeed to show the movement of the water. 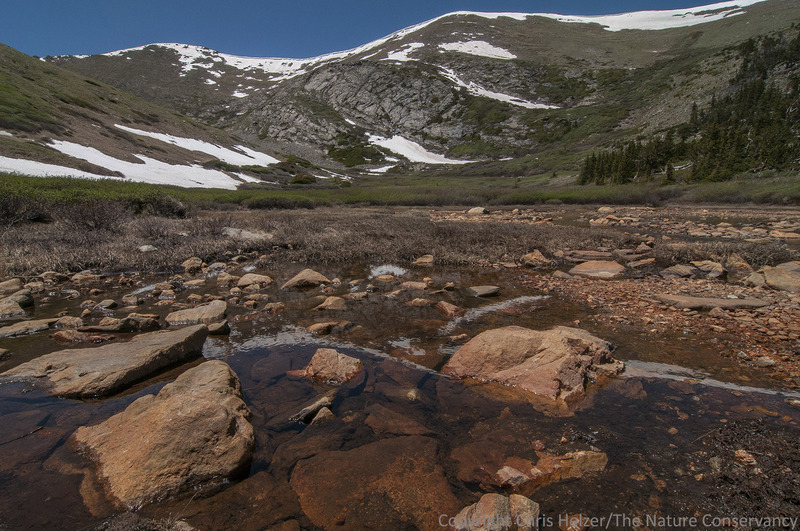 We got to climb high enough to see the melting snow that was feeding all those streams. It was fun to think about the fact that the snow melt we were looking at would be flowing right past us in the Platte River when we got home. Hell’s Hole Trail. 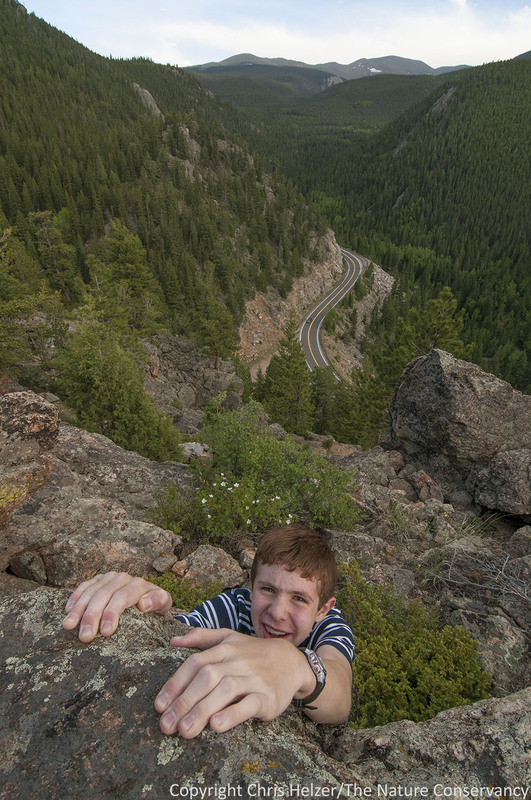 One evening, the boys and I climbed up a ridge near our cabin just because it was there. My favorite parts of the mountains are above treeline where I don’t feel so closed in. Chief Mountain. 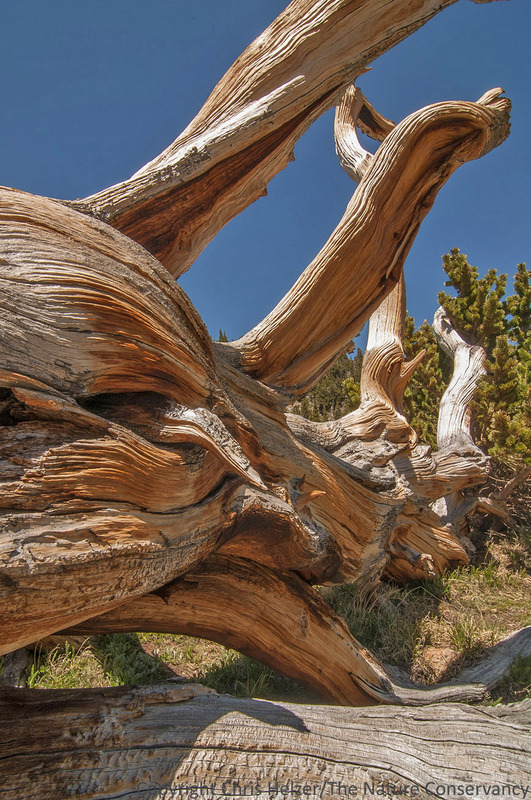 Bristlecone pines are found only at very high elevations. Both the live and dead ones are very picturesque. 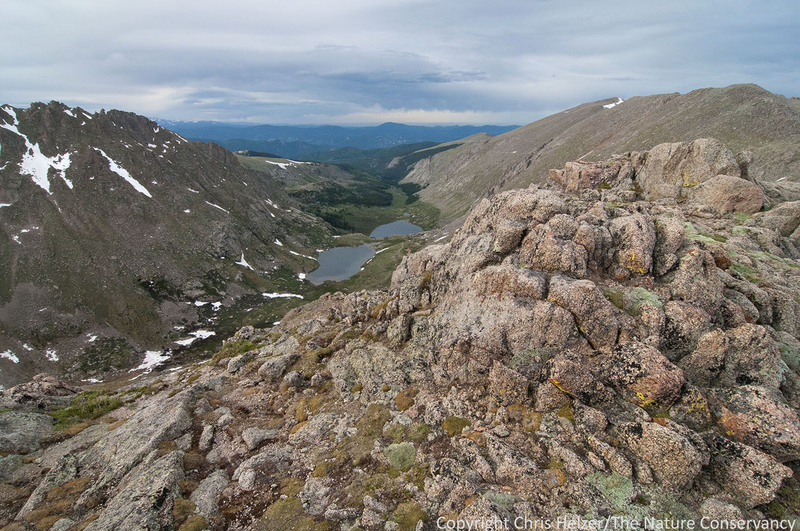 A panoramic view of Mount Evans and Summit Lake from the trail. Of course, despite the gorgeous scenery, many of my favorite photos from the trip were close-ups. Just as in prairies, close-up photography helps me see details I would otherwise have missed. 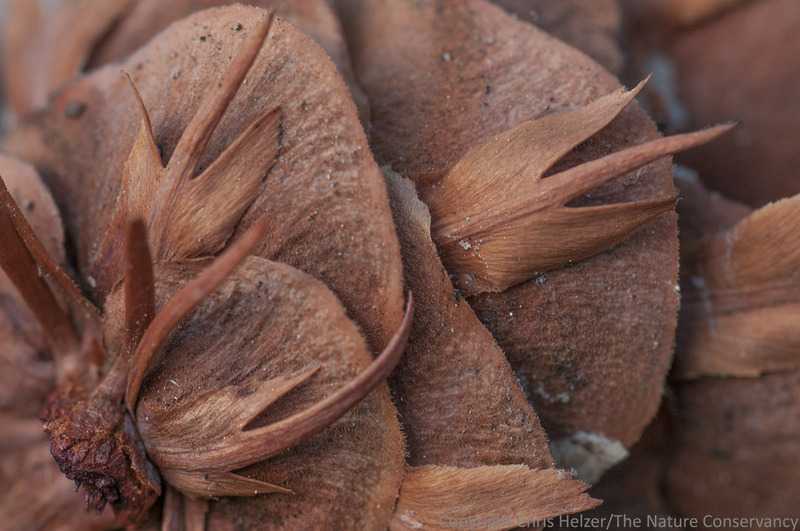 For example, did you know Douglas fir cone had these funny little trident-like appendages on them? 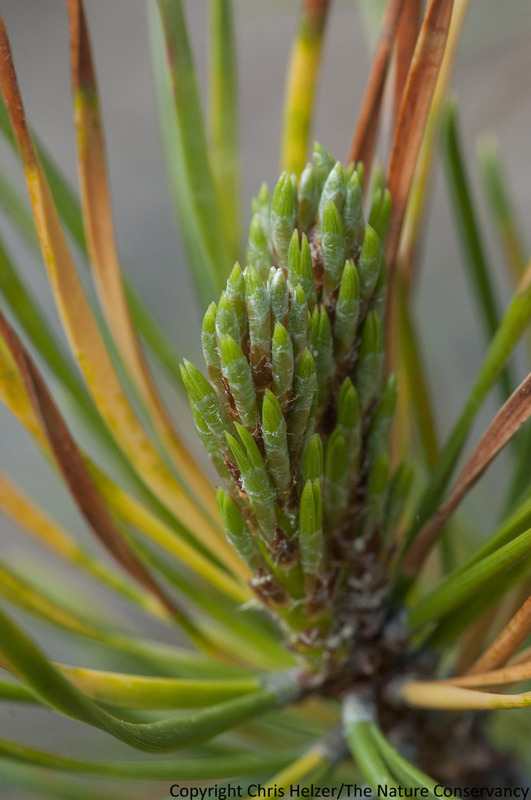 A close-up of Colorado spruce needles. It was great to spend a week in cooler weather and see some different landscapes, and I really enjoyed the concentrated time with my family. 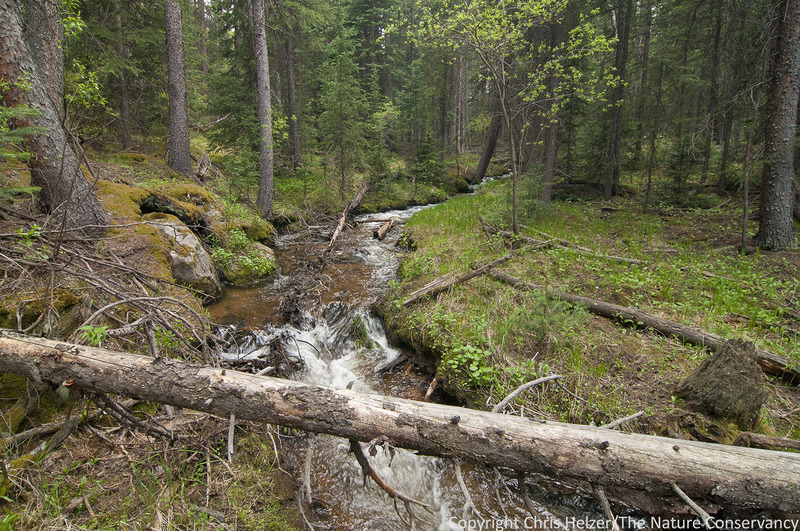 Pine and spruce woodlands are very pretty, though the alpine meadows above them were certainly my favorites. I can see how some people really enjoy living in the mountains. However, while I like short trips to the mountains, I am always glad to get back home to the wide open landscape of the Nebraska prairie. 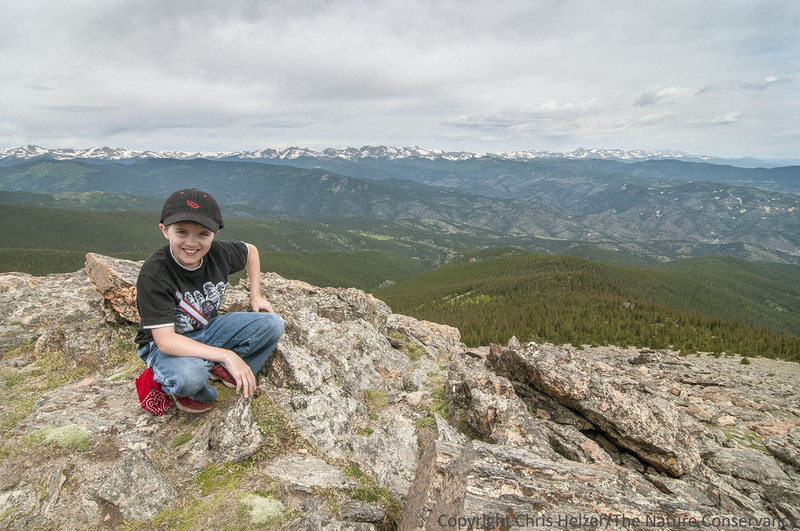 This entry was posted in General and tagged chief mountain, colorado, hiking, idaho springs, rocky mountains, summit lake, vacation by Chris Helzer. Bookmark the permalink. Nice pictures, but there are a whole bunch of trees and mountains in the way! I feel sorry for all those people forced to live in the Rockies. You can’t see anything. I’m glad I’m from the prairie. Thanks for the beautiful pictures and the mini vacation. I agree with most of what you said, except the part about spending too much time using the slo-mo on the creeks. :) It’s funny. I was born and raised in Chicago and freaked out by the lack of trees when we moved here. My Gramma’s Pierce farm had lots of trees. It wasn’t until college when I took a course on Plains Lit from Fran (rats, I can’t think of her last name!) that I was able to appreciate the plains and now I also get claustrophobic in the woods! Douglas Fir cones are called “rat trap cones” because the trident appendages resemble the back end of a rat caught in a trap. Hi, Thanks for all your wonderful photos. I am a Nebraskan living in Colorado. It’s beautiful here, but you know, I miss the four seasons, the birds, having a big garden, and of course, the nice people of Nebraska. Oh, that makes me miss my mountains… I plan to climb Mt. Evans in Sept. I’ve already done Bierdstat. 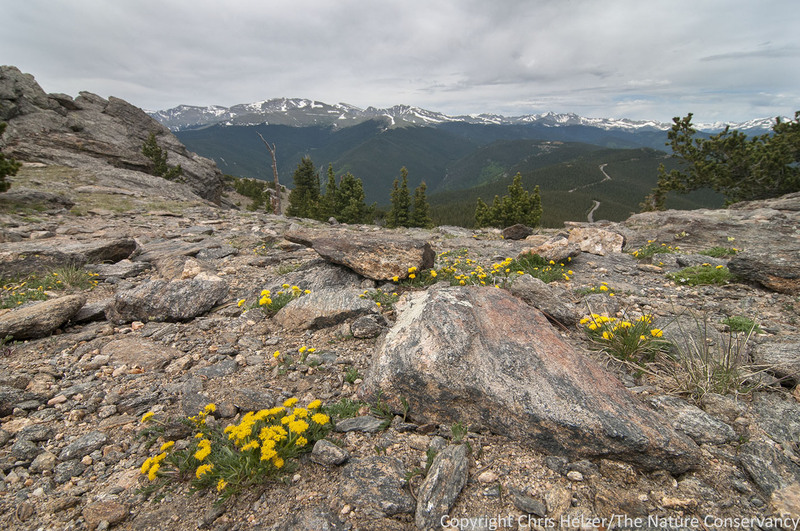 I have to agree that the alpine meadow is one of my favorite parts of the mountains, mostly because you are up high and can see…. Great Photos! Mmmmm, yummy photos! You capture the heart & soul of the land in your lens–both the big views and the close-ups. Makes me miss those peaks! 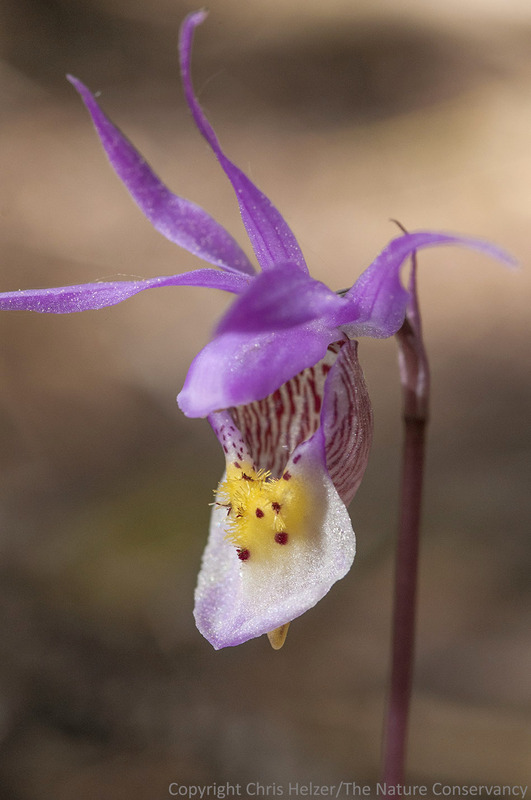 And I’m glad you got to see the Calypso orchid. I’ve found them in CA and CO, and it is my mission now to find them in northern NM, where I recently moved. Here’s a post on a beautiful community of them near Boulder: http://thislivelyearth.com/2013/06/13/calypso-secrets/. And did you know they were a favorite of John Muir? Here, with sources, is the story: http://thislivelyearth.com/2011/07/22/john-muir-and-the-calypsos/. That was cool and refreshing. Great pictures. I liked your long exposure stream shots. Mr. Helzer, You are a very lucky man.